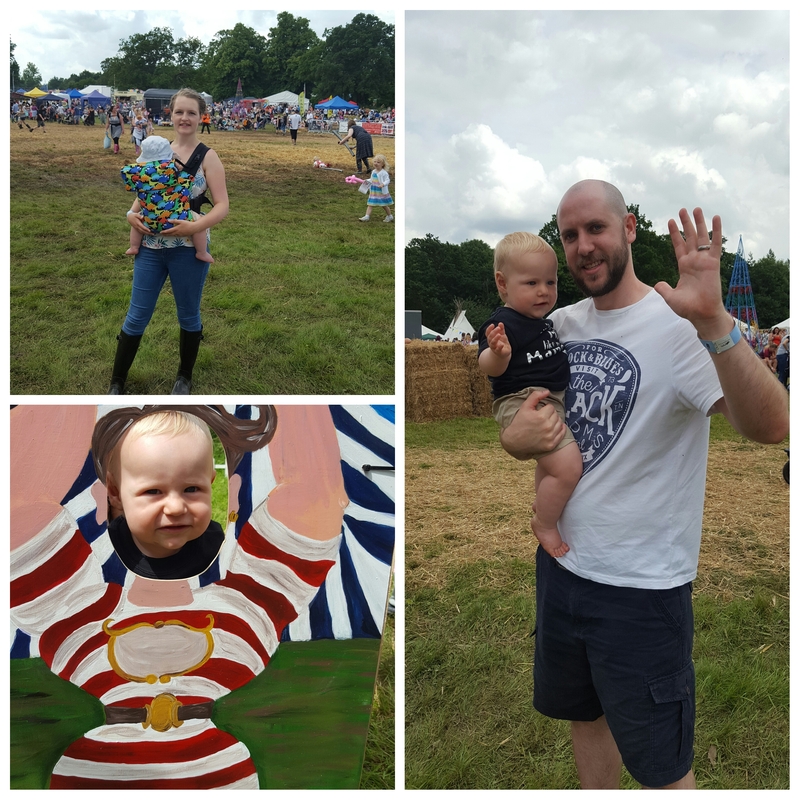 Sun, rain, wellies and mud can only mean one thing….it’s festival season and Something About Baby couldn’t wait to get stuck in!! Sadly, this isn’t a review of Glastonbury (actually, not sad at all, did you see the mud??!!) but rather an account of Alfie’s first festival – The 3 Foot People Festival. 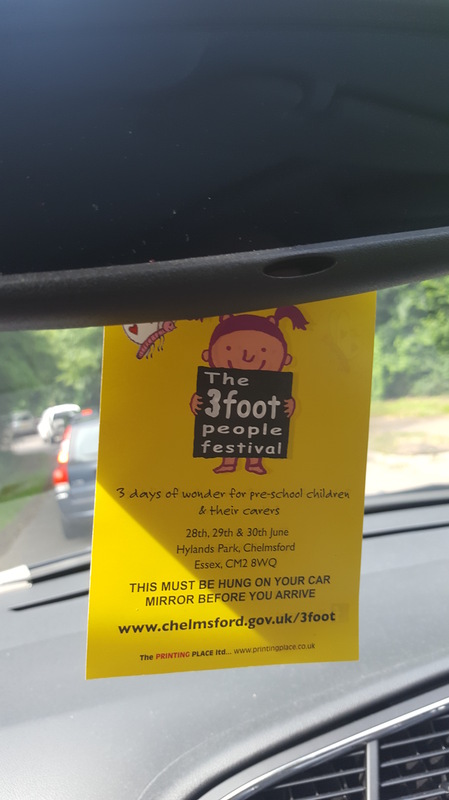 I remember being heavily pregnant last year and seeing all the hype for a children’s festival in our local area, and decided that we must go this year! The tickets are very sought after, so I was on the laptop, ipad and mobile at 9am on release date to get my tickets. They were a very reasonable price – £11 per adult and a nominal £2 charge for under 1s plus £2 for the car park. The festival is aimed at preschoolers, so only suitable for under 5s. This means that babies and toddlers can enjoy a day out without parents worrying about them being overwhelmed by the big kids! Because of this, the festival is only run during the week – Tuesday, Wednesday and Thursday. We booked for the first day. The sling was a must have! Daddy got involved in the dancing outside the disco tent too! The plan had been to arrive before it opened, so we would be first in and not have to queue. Unfortunately, Alfie had had a shocking nights sleep, so we were running late. The festival all opened at 9.30 and we left at 9.30!! Luckily when we arrived, the opening of the festival had been delayed due to the wet weather and muddy conditions, so we weren’t too late. We parked easily but did have to queue from the car park so it took us about half an hour to get in. When we arrived, we got hold of a map, but because of the bad weather it was hard to read as everything had been moved around and also the tents weren’t easily named, so you didn’t really know what was what, but we didn’t have a plan and were happy to just wander around. We decided to take the sling as we thought the field would be muddy and didn’t fancy our chances! And it worked perfectly, Craig and I both carried him and we didn’t have to worry about leaving the buggy places while we went in the tents or strapping him in and out of the buggy and Alfie could see everything that was going on. We walked around and discovered “Horse World” which was a little area with loads of rocking horses! It was so cute and Alfie had a ride on a few. His favourite was the bouncing zebra though – which I was very pleased to see as we have bought him one for his birthday!! We walked around some more and discovered the disco tent. This was amazing – there were games and crafts inside and then a dj with a dance floor. Alfie LOVES music so we had a little boogie on the dance floor which was great fun. We discovered lots more tents, like the Mad Science area where they were doing lots of cool experiments and the library tent which had a wonderful sensory area and we were given some great free gifts of bedtime story cards and a bath book. Enjoying a ride on the zebra and a boogie on the dance floor! A not so relaxing yoga session and munching on a hotdog for lunch! 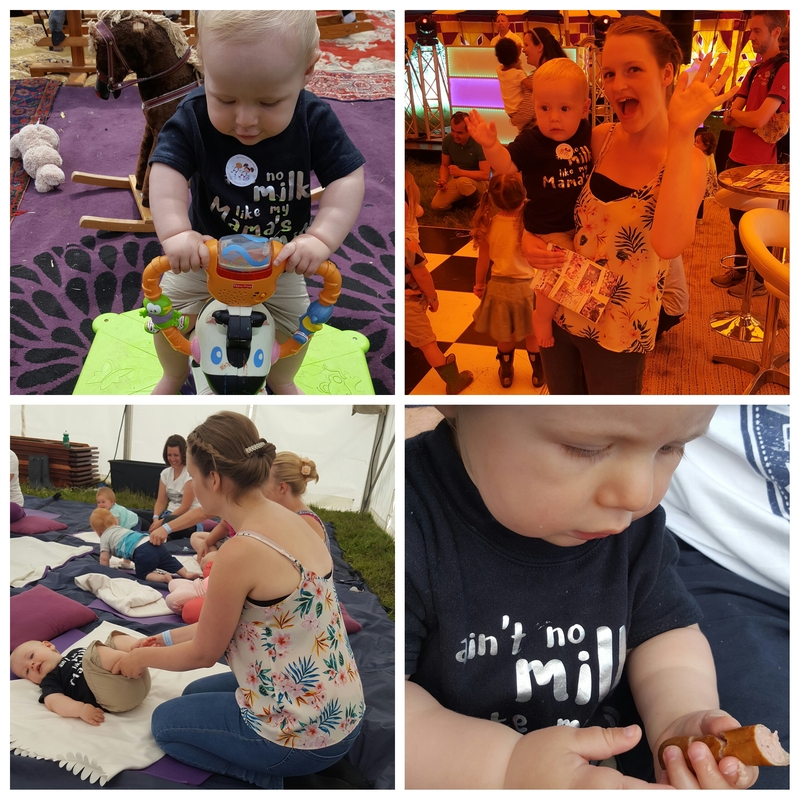 We came across the Basking Babies tent, where they did baby massage and baby yoga – I was really keen to try yoga and luckily we turned up just at the right time. We sat down and waited for the session to fill up but unfortunately Alfie started to get restless and it wasn’t the calming, relaxing experience I had hoped for!! We only lasted half the session before I gave up as Alfie wasn’t even a little bit interested. I think he was too old and it would have worked better with a younger baby. We were all getting hungry so we headed towards the food court area to buy something. The only downside to bringing the sling instead of the buggy was that we couldn’t bring a picnic so had to buy food and for a children’s festival I didn’t find the food very child friendly. Craig and I had a burger each and I managed to find a hotdog for Alfie to have. Alfie then fell asleep in the sling so we had a walk around to see what else we could attend once he woke up! We decided we would join in a few activities in the afternoon, the first one being Gymboree. This was really good fun. There were two ladies who basically sang songs and did little activities with the children – Alfie loved making the toy frogs jump on the parachute! And also the bubbles. Next we hunted down the changing facilities – being in a field, they were pretty basic, just a few trestle tables in a tent, but there were wipes and nappy bags provided which I thought was good. At least I didn’t have to change him on the field! We met up with some friends and went to our next session – Jo Jingles. I have to say we weren’t big fans of this. The ladies were lovely, but we found the songs and activities a bit basic. It may have been Alfie was a bit too young and couldn’t really join in, but we left a little early as Alfie was restless. Daddy spotted the rugby section so off we went to have a look! It was run by Little Scrummers, a club aimed at children aged 2-7 who can learn about the game of rugby and starts them off at a young age. As an ex-rugby player himself up to college age, Craig is very keen to get Alfie into rugby when he’s old enough so this is a great little club to start at. We enjoyed an ice cream and another dance in the disco tent and then wondered off to the other end of the field. We came across Tumble Tots which I really wanted to join in with and luckily they had just started a session so they let us join. I later discovered this had been a very sought after activity and you were meant to book in advance!! It was great fun, there were lots of soft play and mini gym equipment to play on. Alfie practiced his climbing and crawling and then had a go in the swing – which he loved and cried when I took him out! We finished off with a couple of songs and then got given a goodie bag at the end. It had been a long day so we decided to head home to beat the traffic – we stopped off at the sing and sign tent on the way out to say hello to Jessie Cat first! 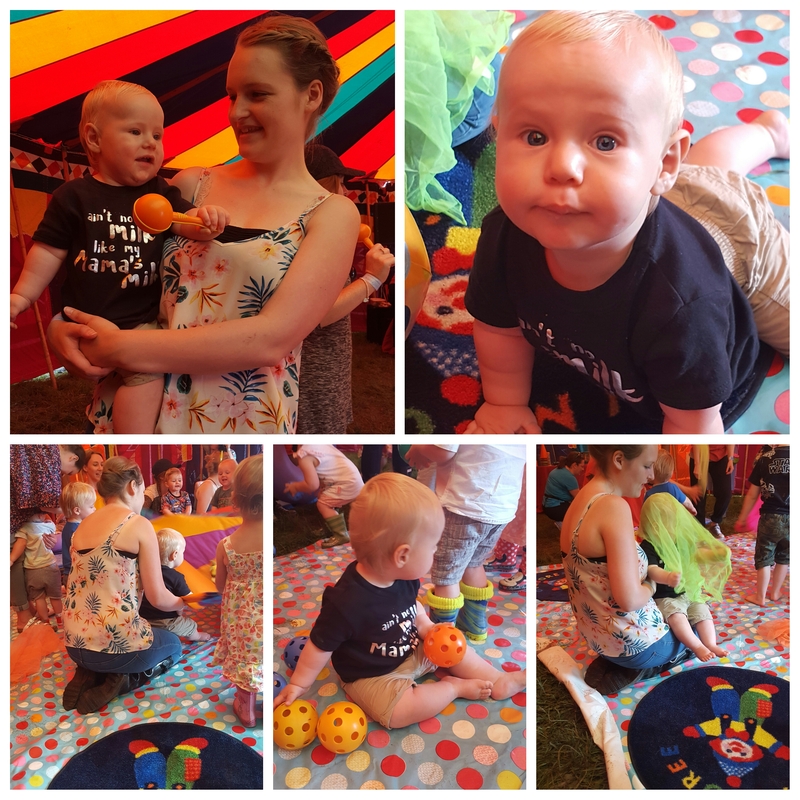 The one thing we did miss was Glastobabies – a fun musical interactive session for the kids. However,we saw them at another event recently so I wasn’t too sad about this. Thankfully getting out of the car park easy and we headed home! I’ve since read lots of differing views about the 3 Foot People Festival, but here’s my personal view – it’s what you make of it. We had an absolutely fantastic day and will definitely be back next year. We found there was lots to do and everything was included in the price – the only extras were food and a few clothes stalls, but of course you could bring a picnic and then it wouldn’t cost you any extra. We found there was lots that Alfie could do but also lots for the older kids too. Yes it was muddy, but you know in advance it’s in a field so you have to expect it. The organisers did a great job of laying down straw to soak up the worst of the water. I found the whole event well organised, from buying our tickets to leaving the car park. 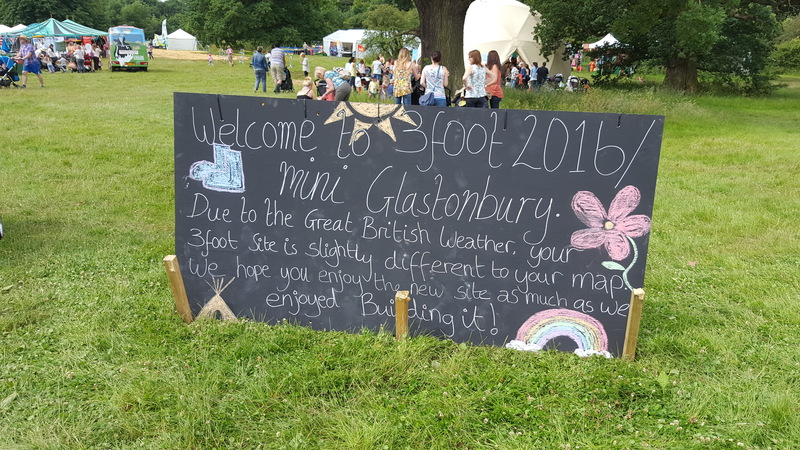 There could be some improvements – I couldn’t find any information in advance of who or what was going to be there, and as mentioned above the food could have been more child friendly and the tents better signposted so you could find things easily. 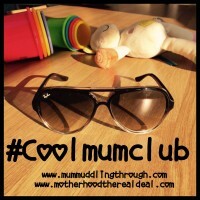 But none of these were big things and we had a perfect family day out! This review is all my own thoughts and opinions. I paid for my tickets myself and am not connected in any way to the festival organisers – I just genuinely had a fab time! 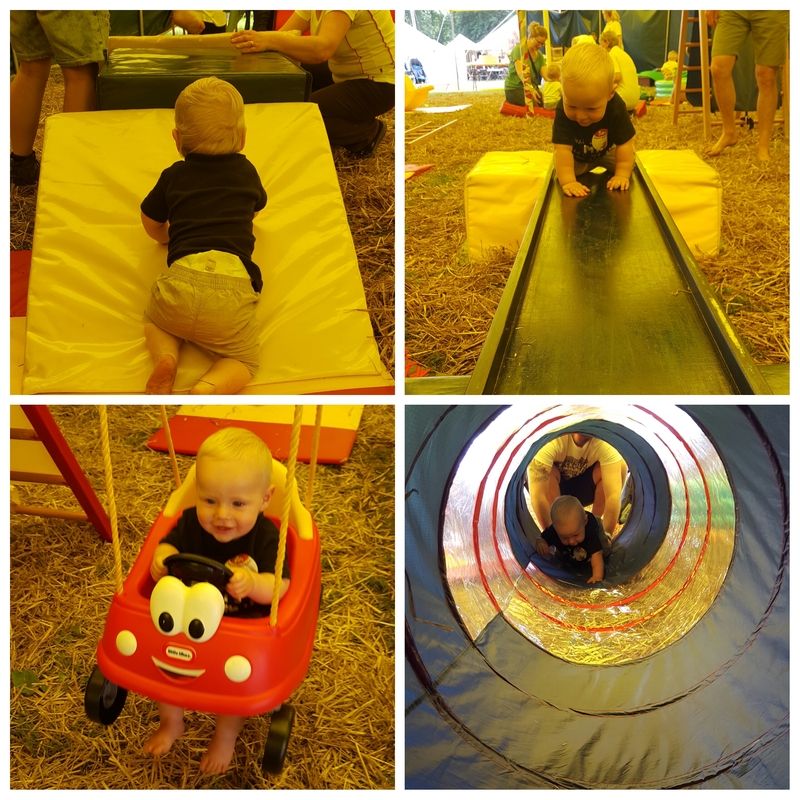 I definitely want to go again next year and maybe also try a few other festivals around the country – it’s amazing how many family friendly festivals there are! This looks like a brilliant event for pre-schoolers and it sounds like the organisers did a great job. We are huge festival fans so, like you, we look forward to festival season so it’s always nice to read of other similarly minded parents and families.. We’re taking our little ones to Kendal Calling in 3 weeks time so we’ve got our fingers crossed for sunshine. 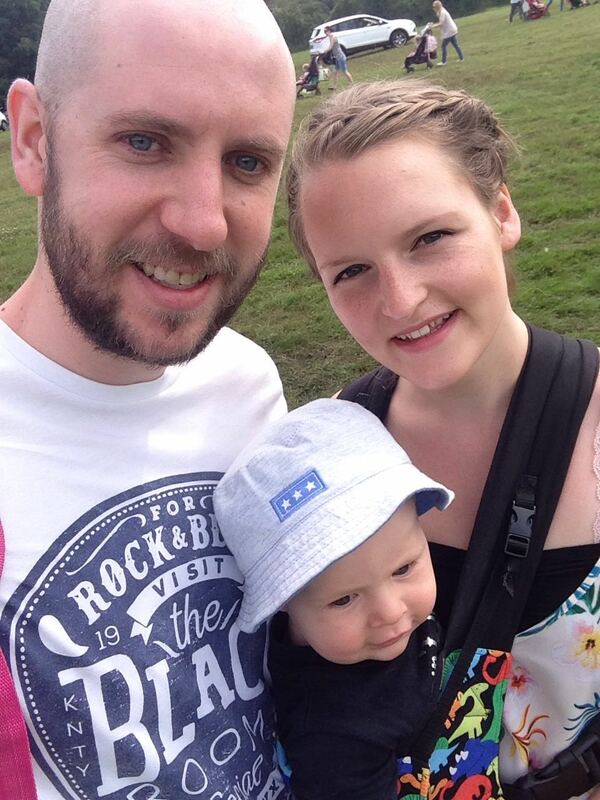 We definitely want to try out some more festivals next year, Alfie will be 2 so hopefully can do even more! Sounds like a great day out! I didn’t even know baby festivals existed. The closest we’ve come is The Great Yorkshire Show. You’re definitely right about making the most of what’s there. Sounds like a great way of testing out which classes you might take up. This one is so hyped up in my area – getting tickets was a military operation like most festivals! Definitely want to try some more next year when Alfie is a bit older. Thanks for reading!